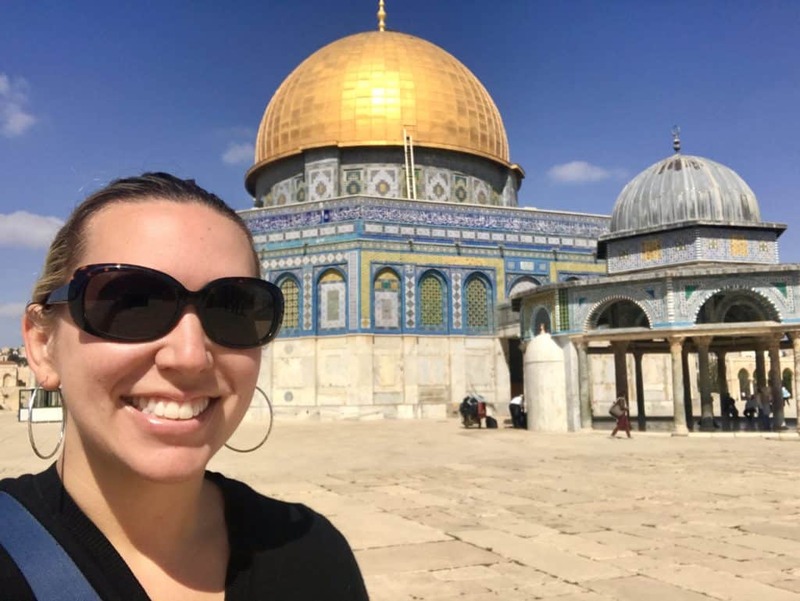 Visiting the Temple Mount, including the Western Wall and Dome of the Rock, is a must on any trip to Jerusalem, and one of the things I looked forward to most on our trip. However, you have to do some planning ahead of time—the lines can be long, security can be quite restrictive, and hours are limited. We were lucky the day we visited (a Wednesday in early May) and everything went very smoothly, but that was by no means a guarantee. 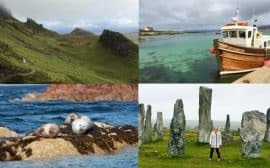 At the bottom of this post I’ve outlined a ton of tips for planning your visit, so make sure you scroll all the way down! 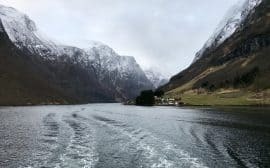 Three of the major world religions—Judaism, Christianity, and Islam—have been battling over this site for close to 2,000 years. I’ve tried to provide a bit of background in this post to help understand logistics that affect your visit, but I strongly recommend you do your own deeper research before visiting because it’s a very complex and controversial history, and my intention here is not to educate you on all the different points of view or present one of my own. 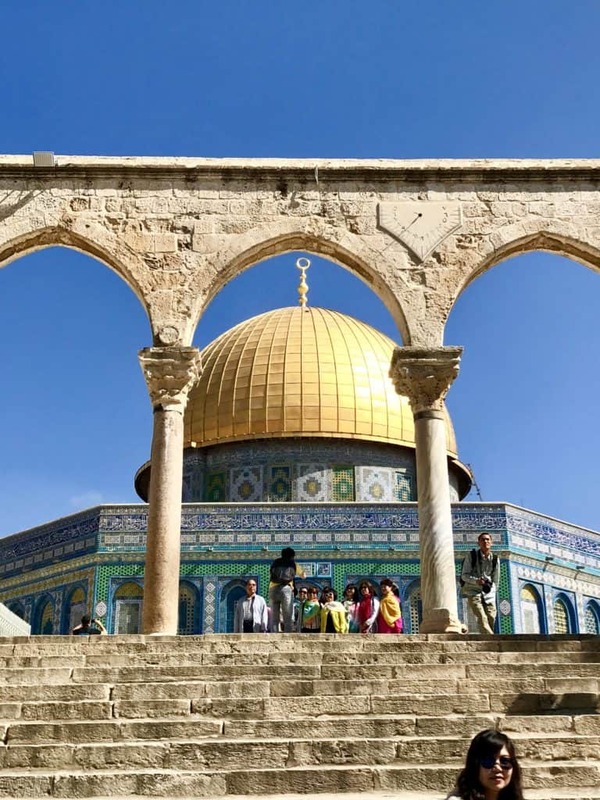 Click here for our full 24-hour Jerusalem itinerary! We were up early since we only had one full day in Jerusalem, and our friends’ friend Alejandro met us at our hostel and walked us toward the Old City. We’d decided to visit the Western Wall and Temple Mount first thing in the morning to beat the crowds and that was a great decision. 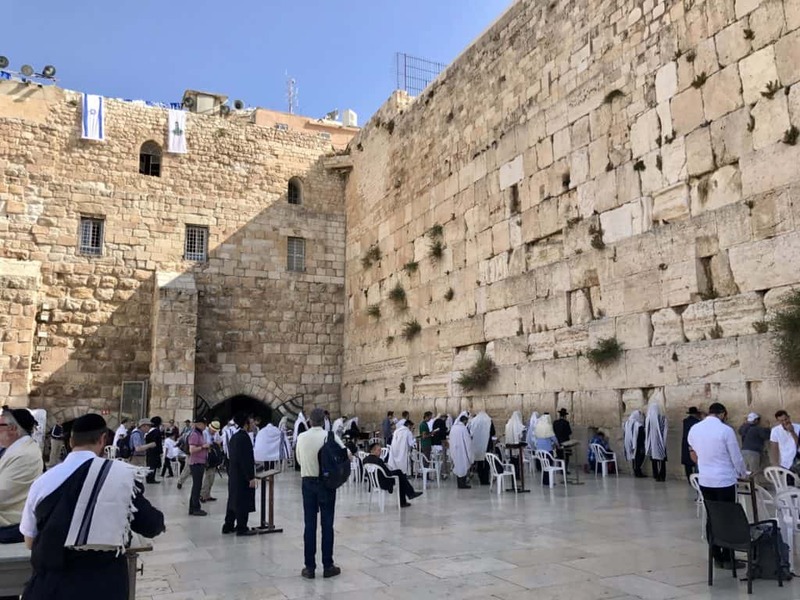 Also known as the Wailing Wall (though not by Jews) or Kotel, the Western Wall is a small section of a retaining wall of the Temple Mount, and formerly surrounded the Second Jewish Temple built by Herod the Great (which was destroyed by the Romans in 70 AD). It’s one of the most holy and sacred sites to the Jewish faith, particularly since they don’t have control of the Temple Mount for worship. The wall is a UNESCO World Heritage Site dating from about the 2nd century BCE (though the upper parts were added a bit later) and runs along the western site of Temple Mount (the Muslim Quarter). This site gives some good deeper background on why the Western Wall is sacred to the Jewish people, if you want to learn more about it. We walked up to security and only had to wait a second before getting through the metal detectors. After everything I’d read about long lines, it was a pleasant surprise. One of the things the Western Wall is famous for is the written prayers that are tucked in all the cracks and crevices. If you wish, you can bring a prayer written on a piece of paper to tuck it inside the wall. A caretaker comes and collects them and they are buried on the Mount of Olives in an ancient ceremony. It’s a really lovely way to feel part of the history here. 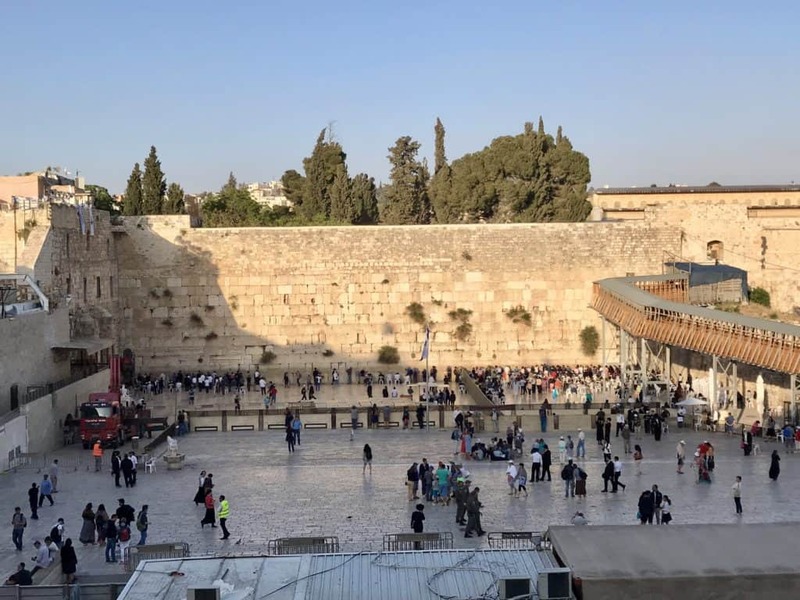 The Western Wall Plaza is divided by gender with a fence over 100 feet long, so if you’re visiting in a mixed group you’ll have to separate. However, there are gaps in the fence so you can see through the slats and take pictures of the men’s side (if you’re a woman). It did feel weird taking pictures in an active religious site, and I’d caution you to just be respectful and discreet—this is a real, daily part of religious life for many Jews in Jerusalem. If you’re a woman, bring a scarf as you will need to cover your shoulders and chest. If you don’t have one, they’ll provide one when you enter. Men need to have kippah (Jewish cap), and if you don’t have one (like my dad and Alejandro), they’re provided. Fun facts: the Western Wall is actually just a retaining wall below the Temple Mount, and only about one-eighth of the original wall’s size! Here you can see my dad and Alejandro with their borrowed kippah, and some of the pretty Torah that they provide for you to sit and study and reflect if you’d like. From the Western Wall we headed to the Temple Mount, which is only a few steps away along a wooden pathway. The Temple Mount is the holiest site in Judaism, the third holiest site in Islam, and a revered site to Christians. Because of its importance to all three religions, ownership has been hotly contested for almost 2,000 years. 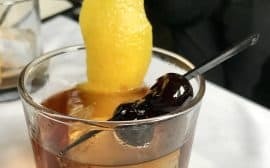 As I mentioned above, my goal with this post isn’t to get political (I have my own views, but that’s not what I’m here for), so rather than trying to summarize a very messy and complicated situation myself, I felt like this article pretty succinctly summarizes the key points, and it’s hard to go wrong (and easier to stay non-political) with the official Wikipedia article. 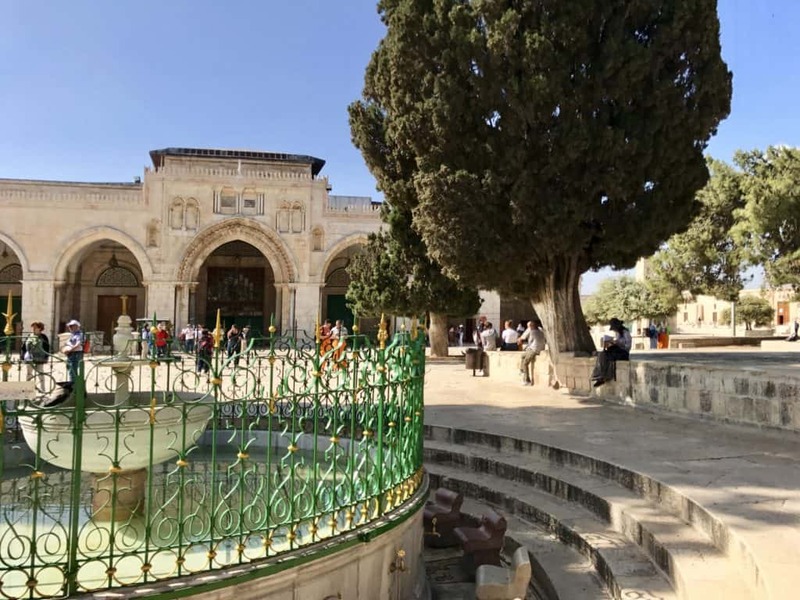 First you’ll see the Al-Aqsa Mosque and the fountain where worshipers can wash themselves…I was obsessed with the bright green and gold on the railing. 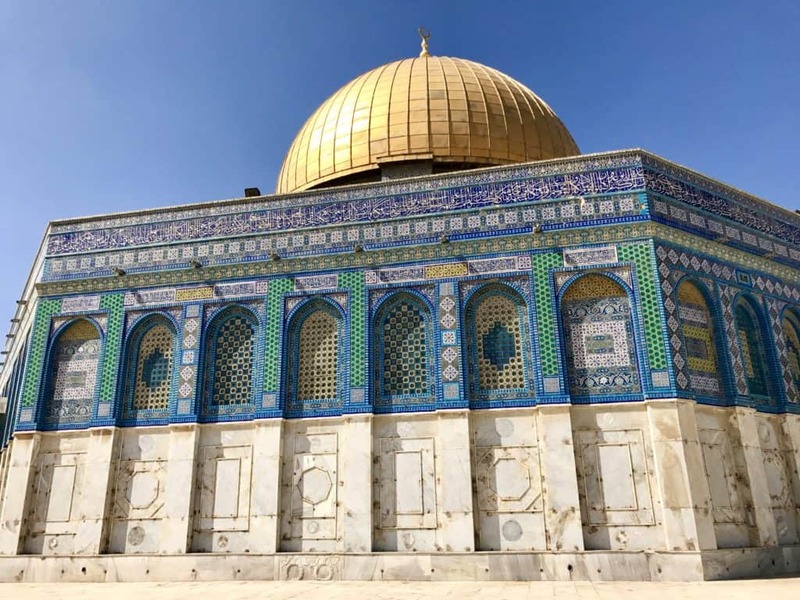 Though located in the Old City (which Israel controls), the Temple Mount is under the control of the Jerusalem Islamic Waqf, that was established in the 12th century to manage the Islamic structures in Jerusalem (I believe the Waqf is paid by Jordan but can’t confirm). You must be well covered and go through strict security screenings to enter the Temple Mount. 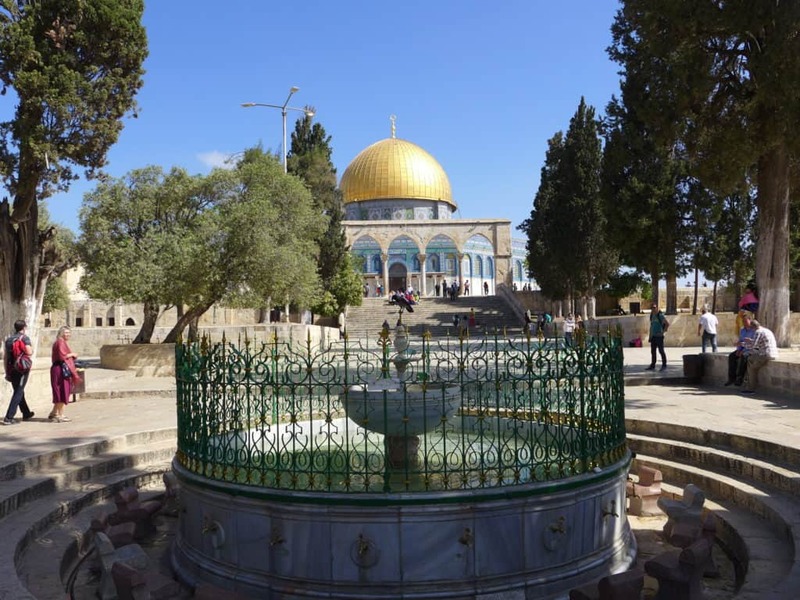 On the Mount, you’ll find the Dome of the Rock, the Al-Aqsa Mosque, the Dome of the Chain, and four minarets. As a non-Muslim, you won’t be able to enter any of these, but you can see the outside and walk around. 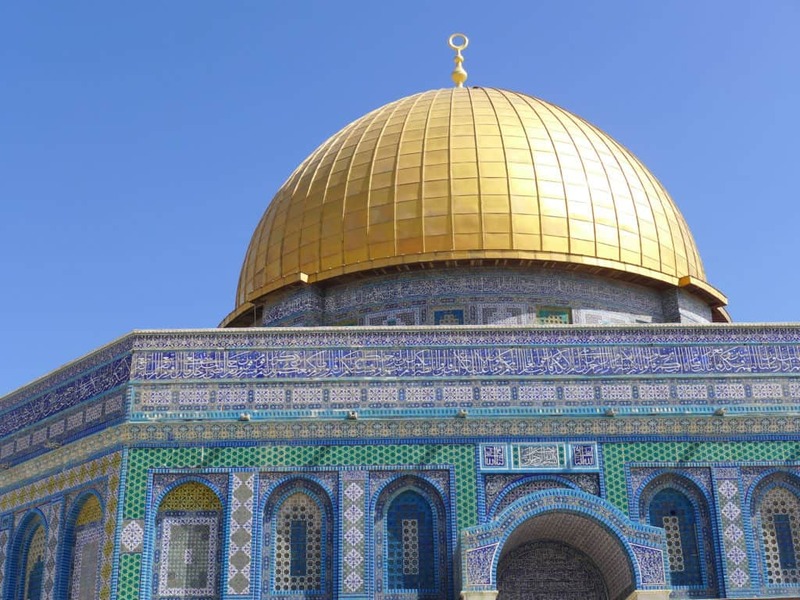 So what is the Dome of the Rock? 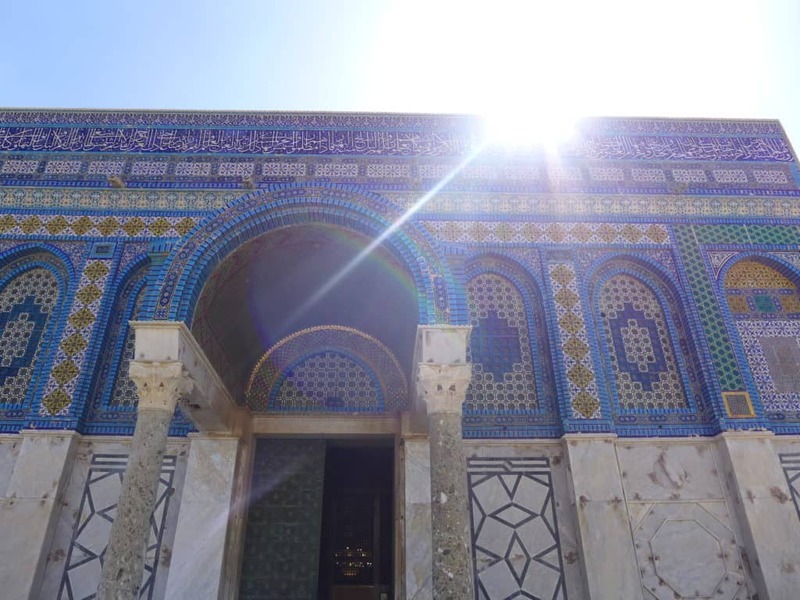 The Dome of the Rock is a UNESCO World Heritage Site and a must visit when in Jerusalem. 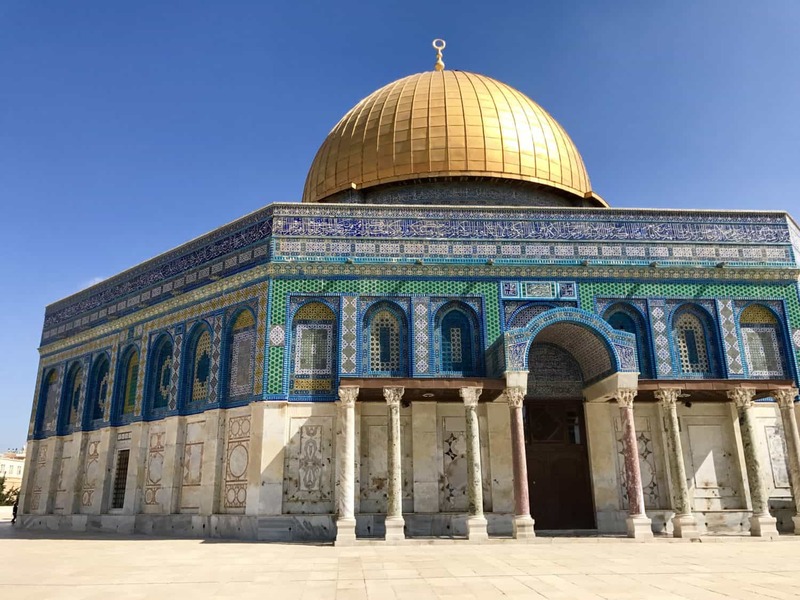 It’s located on the Temple Mount, in the Muslim Quarter, in the Old City and holds great religious significance for both Jews and Muslims. In the Islamic faith, the rock is where Muhammad ascended to heaven, making it the third holiest site for Muslims. In the Jewish faith, this is The Foundation Stone (among other things) of the temple and the Holy of Holies, and the holiest site in Judaism. 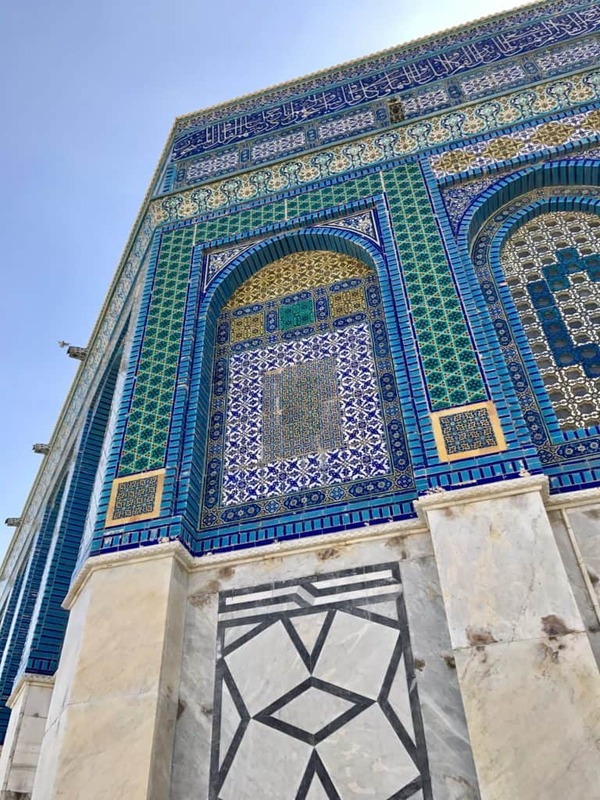 The Dome of the Rock is really stunning—it’s hard to fathom the amount of detail on the tiles. We totally lucked out and there was almost no one there when we visited, allowing me to get some great shots of the building without people. The plaza was quiet and peaceful, a shift from the bustle of the Old City’s narrow streets. As I mention in the tips below, two things you need to be aware of are the rules around dress, and the rules around co-ed touching. I wore a maxi skirt, v-neck t-shirt, cardigan, and sandals. I should have thrown on a scarf to be safe, because at one point my cardigan came apart and I got yelled at for my v-neck. They are not messing around. Also, we weren’t even thinking and my dad wanted to get a picture of me and Alejandro, so we threw our arms around each others’ shoulders—and got yelled at. The guard made us delete the picture off his camera (though they hadn’t realized we got one on my phone too, so I still have that). Just be very aware and remember the rules while you’re there. I was dazzled by the bright colors and incredibly intricate details. The original golden dome was actually made of gold, but was later replaced by copper, and then aluminum (and now covered with gold leaf). Can you imagine how heavy that original all-gold dome was??? 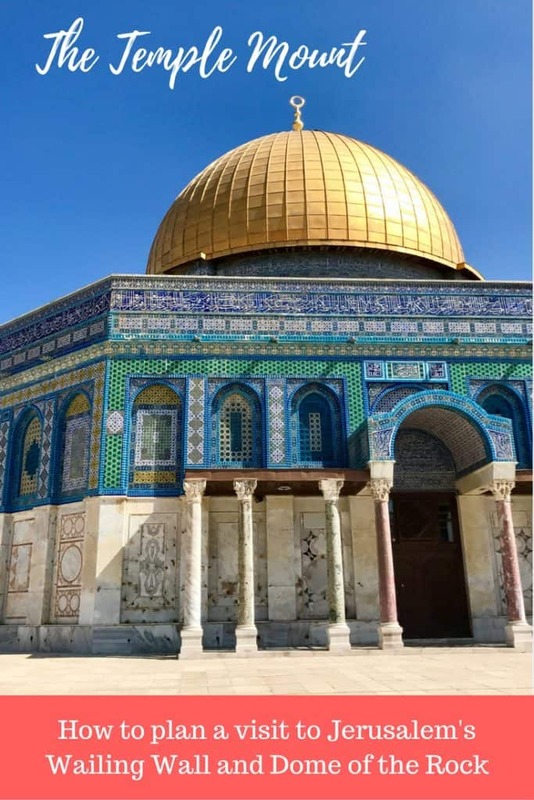 You can read about some other fun facts about the Dome of the Rock, in case you’re interested. 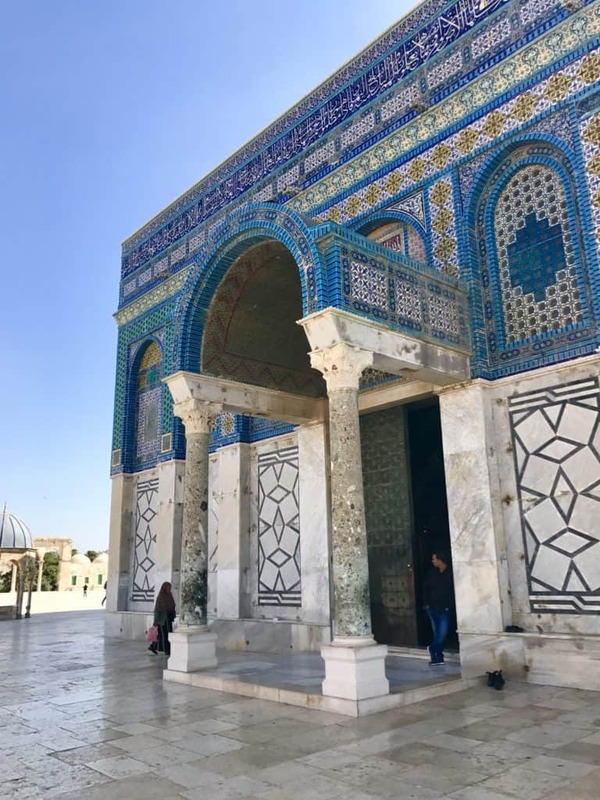 A couple months after we visited, there was a shooting (two Israeli guards were attacked) at the Temple Mount and access was shut down for a couple days, then obviously security was much tighter for a while—which affects wait times. Unfortunately due to the contested nature of the site and the differing viewpoints, unrest does occur sometimes so it’s important to check whether it’s open before you visit (gun attacks, though, have been relatively rare in recent years). As you’re leaving the Temple Mount, you can see the Golden Gate, thought to be the oldest gate in the Old City. It faces the Mount of Olives and so is where the Jews believe the Messiah will enter the city when he comes, proceeded by Elijah. You may notice that its most noticeable feature is that it’s completely sealed shut. It’s been closed and reopened a few times over the centuries, but was finally walled up by Suleiman the Magnificent in the 16th century. 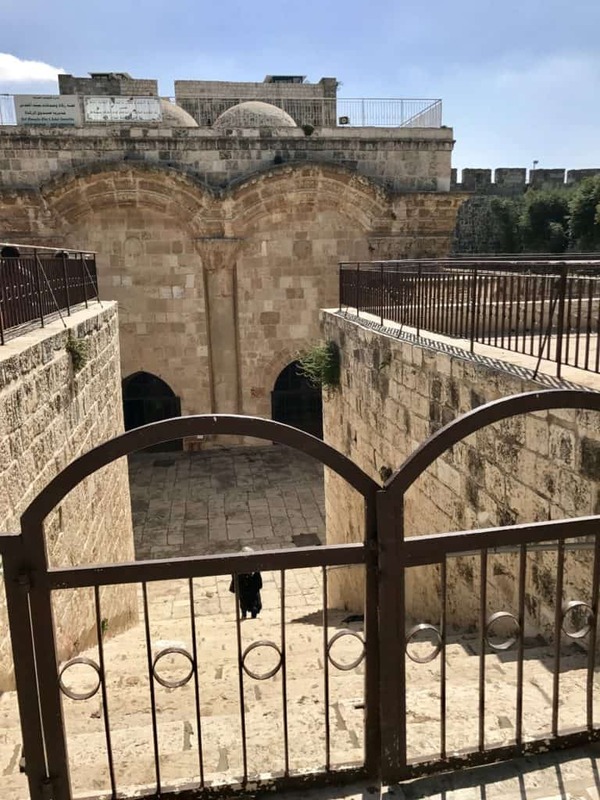 It may have been for defensive reasons, but it’s believed that he did this (and created a cemetery in front of it) so that the Anointed One could not enter the city according to the prophecies without being made unclean (by the cemetery). It was Suleiman’s “gotcha”. I thought that was a super interesting historical anecdote! 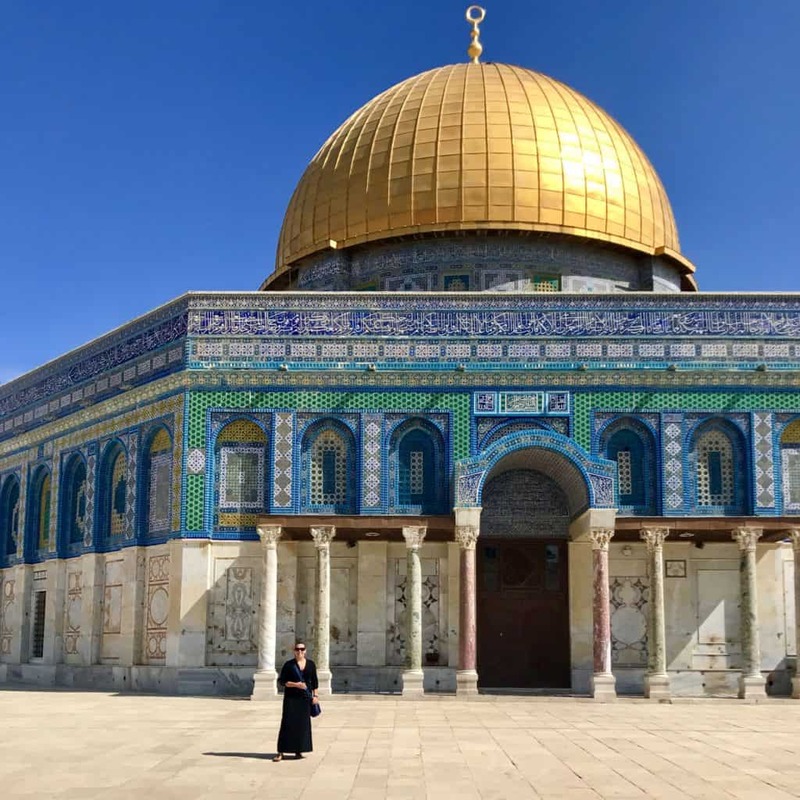 I’ve put together a super detailed full itinerary post, with our whole 7-day Israel and Jordan trip. Let me know in the comments if you have other questions, or just thoughts! No weapons are allowed, and visitors can’t bring in any sacred objects (such as a prayer book or talit). I read before my trip that if you even have a souvenir or something with the Star of David or some other Jewish symbol that they won’t let you take it in, so be aware. Make sure to bring your passport, you may be asked to show it. Don’t bring laptops or tablets, they may be confiscated for the duration of your visit. Women need long pants or a long skirt with a shirt that covers shoulders and elbows. You don’t need a head scarf. I wore a long maxi skirt, a t-shirt and a cardigan (I should have had a scarf over my neck too, to avoid getting yelled at). Non-Muslims can visit Monday through Thursday, it’s closed to visitors on Friday and Saturday. 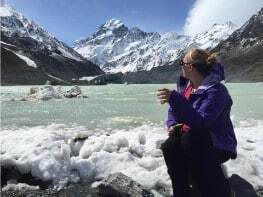 During peak tourist season you might want to get there a half hour or hour early to line up. However, the entrance can be closed without notice even during normal hours, so I recommend getting on the TripAdvisor forums right before your trip to make sure things haven’t changed. It’s best to hear what’s going on from locals on the ground. We stayed at Abraham Hostel in Jerusalem (in Tel Aviv too) and it was a perfect place to base ourselves. It’s a fairly easy walk to the Old City (or a couple tram stops) and only two minutes’ walk to Mechane Yehuda Market (aka The Shuk). We also took their tour for a sunrise hike up Masada and visiting Ein Gedi and the Dead Sea (more about that here, sunrise at Masada is a bucket list must! ).